The Global Alliance for Incineration Alternatives (GAIA) is concerned over claims included in the latest IPCC WG III Report – Summary for Policy Makers, with regard to climate change mitigation strategies for the waste sector. In a letter sent to the IPCC Working Group III (WGIII) today, GAIA urges the amendment of some controversial statements related to the use of municipal solid waste as a combustion fuel to substitute traditional fossil fuels in order to reduce GHG emissions. EJOLT fully supports this letter. In the Global Atlas of Environmental Justice, 18 waste incineration conflicts are already documented, while many others are in the pipeline. Burning waste endangers human health, destroys thousands of jobs in the informal waste picker sector and creates an incentive to maintain and even enlarge a fundamentally unsustainable waste flow. “GAIA commends the extraordinarily important work of the IPCC in providing scientific guidance to society on the most important challenges we need to face. GAIA also absolutely agrees with the report’s conclusion that that the world needs to phase out fossil fuels”, said Mariel Vilella, Climate Policy Campaigner with GAIA. “However, we feel compelled to urge the WGIII to amend its support for using waste as a fuel to reduce the demand for fossil fuels. This is not a sustainable climate mitigation strategy, but a highly controversial and ultimately misleading suggestion. If we are to change our energy system and decarbonise our electricity supply, waste cannot be taken as the new coal”, she concluded. The letter published by GAIA includes references to the environmental, social and economic impacts of using waste as an alternative to fossil fuels most often in cement, biomass and other combustion plants. These impacts are felt first and foremost by the local – and usually vulnerable – communities who suffer from crop loss, respiratory and skin diseases, fertility and mental health issues. 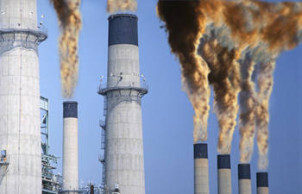 In fact, communities around the world are organizing to stop this polluting practice. Moreover, GAIA points out that burning waste emits more GHG emissions than coal does per unit of electricity produced, it generates hazardous waste and highly toxic emissions, and it depletes non-renewable resources (including fossil fuels). GAIA also highlights that burning waste requires large sums of money for large infrastructure, with few returns for the labour market, and contributes to a lock-in situation that undermines the waste management options at the top of the Waste Hierarchy. Furthermore, the letter showcases successful examples of climate mitigation strategies in the waste sector, those focused on waste reduction, reuse and recycling, and energy recovery through anaerobic digestion and composting. “Empirical data and case studies show many cities and regions around the world, such as San Francisco, Guipuzcoa, Contarina, Flanders or Taiwan, that have reached recycling levels above 80% with great climate benefits, ” added Vilella. The letter includes extensive sources of further information on these successful stories. GAIA has coordinated a group of experts who provided extensive comments on the WGIII Second Order Draft in April 2013. In the next weeks, GAIA will analyse the final report and will publish the results before the release of the IPCC AR5 Report in October 2014.